For the eighth year running, Bike's editorial staff and a dedicated crew of core contributors has converged on another of North America's finest riding destinations to test the upcoming year's most promising bikes, components and soft goods. 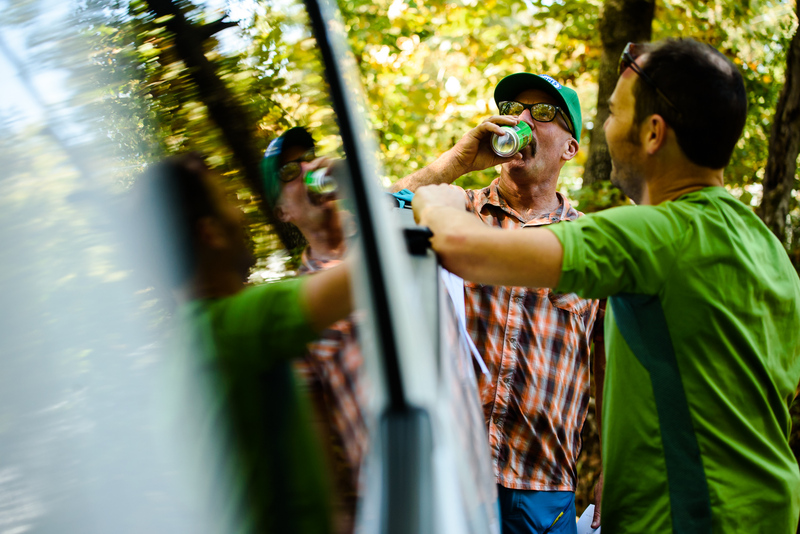 This project—known as The Bible of Bike Tests—always spans much of October and involves more than 15 people to test gear, photograph and film the effort. 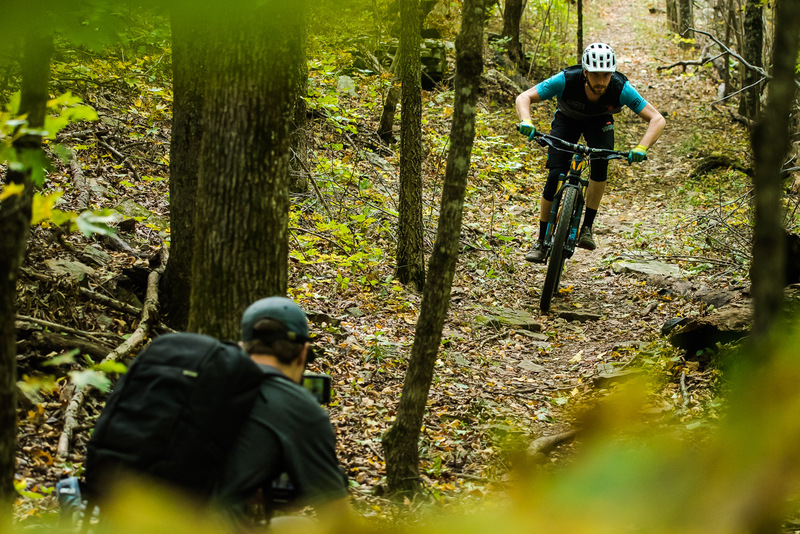 This year we've based ourselves in beautiful Northwest Arkansas, where the rolling foothills of the Ozark Mountain region have provided a variety of rugged terrain on which to test 35 new mountain bike models. From the high-speed, swoopy XC trails of Bella Vista to the rocky tech of Kessler Mountain and the purpose-built singletrack of the Coler Natural Preserve, we’ve had ample opportunity to put the hand-picked selection of short-, medium- and long-travel bikes through their paces. During the first week of October, FedEx and UPS trucks dropped off dozens of bike boxes and soft-goods shipments to the Phat Tire Bike Shop in Bentonville, Arkansas, where this year’s mechanic—Scott Schroen—built the bikes and delivered them to our communal living quarters in Bella Vista. 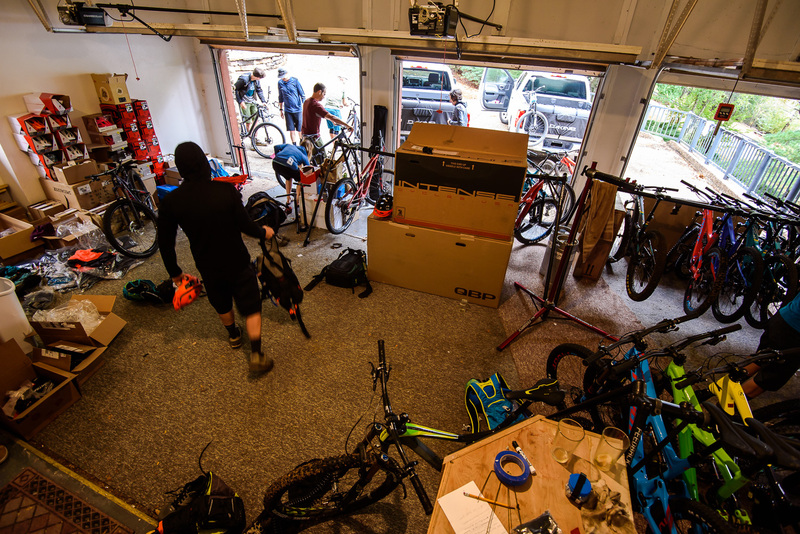 Each morning for the following two weeks, our garage is a scene of controlled chaos as 10 testers set up their bikes for a fun day of shredding. 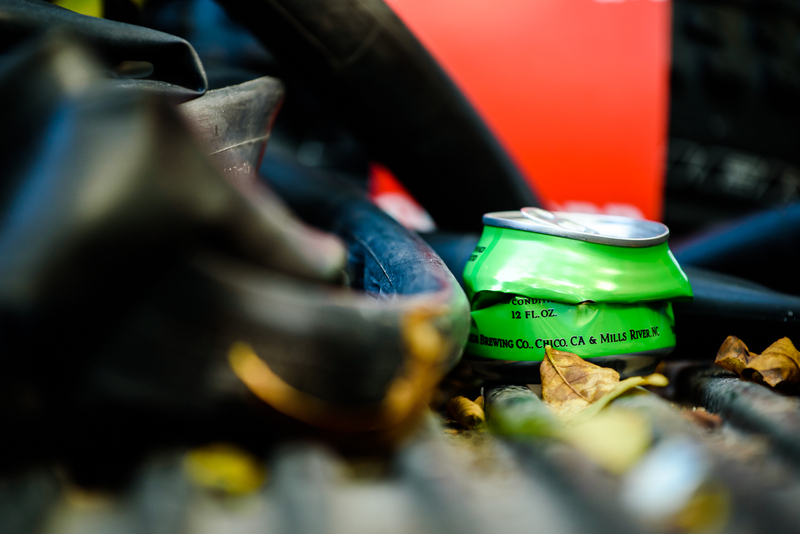 One morning our test crew even spotted a hooded bike thief lurking in the garage. 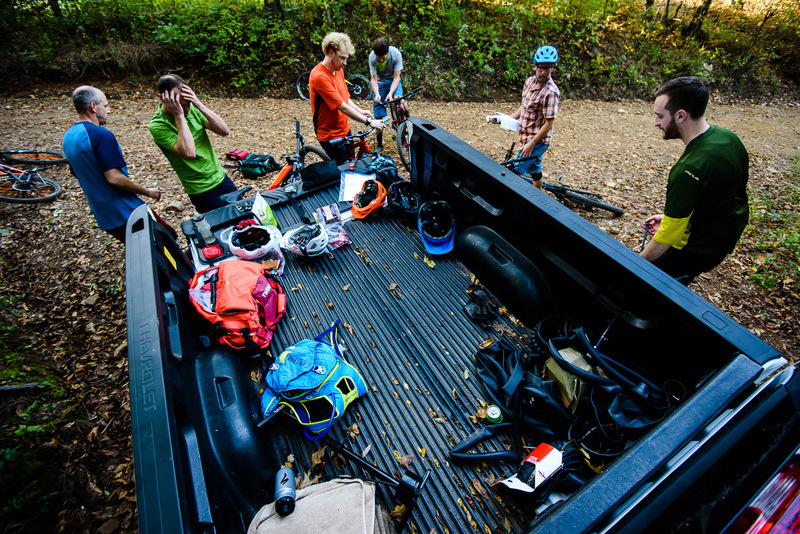 To truly test a bike, proper setup is essential. 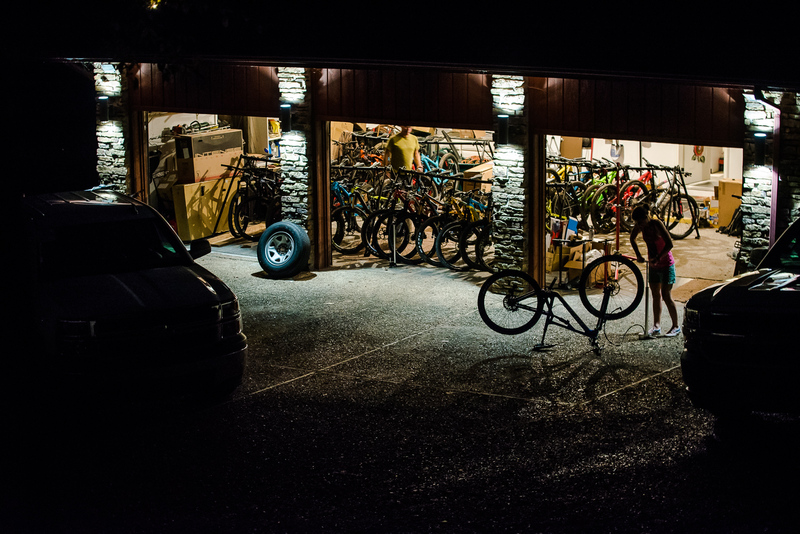 Our testers—three women and seven men—select the bikes they will test according to their size and skill set. 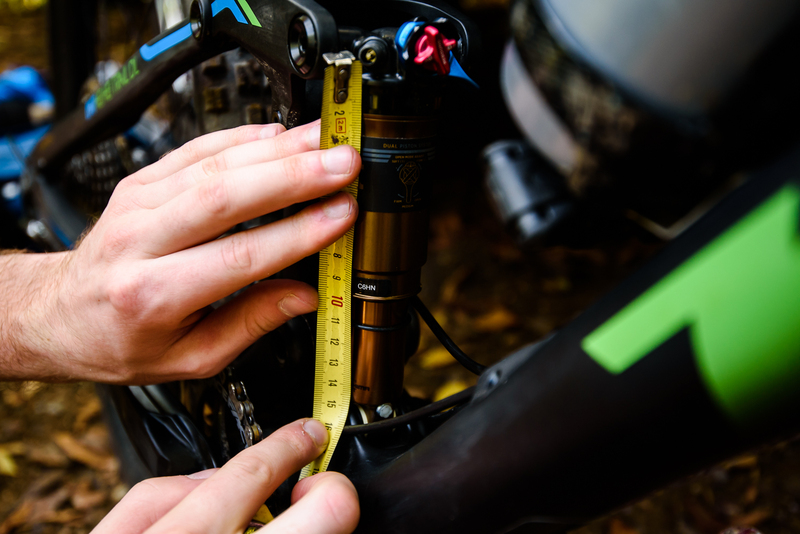 After familiarizing themselves with each bike, each tester will set up it up in accordance with their weight and the manufacturer's recommendations. Shock pumps are broken out. Air pressures in forks and shocks are measured. Sag is set. Tire pressures are adjusted. Then all of these settings are meticulously recorded on a test sheet for the bike. The fun begins. Each bike is taken out for back-to-back testing on trails that are ideally suited to the bike's intended purpose. One tester will set up a bike, take it for a furious rip around our test courses, record his or her impressions on the test sheet and then pass the bike off to the next tester. This year, at least three testers gave each bike a proper thrashing before heading into the Roundtable Reels sessions to hash out their pros and cons. Here, gear editor Ryan Palmer gets after it. 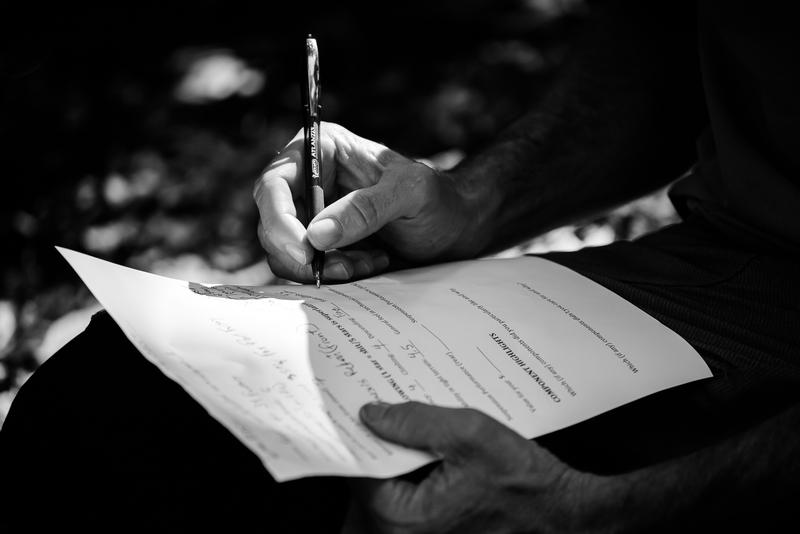 The completion of test forms (or “testaments” as they’ve come to be known) has always been a crucial step in The Bible of Bike Tests process. Immediately after each test lap, each tester will complete a form noting the bike's setup details, including air pressures in forks, shocks and tires as well as the sag and compression settings for forks and shocks. Impressions of each bike's ride qualities and suspension performance are recorded along with thoughts about the array of parts on the bike. Smashing out one test loop after another can be tiring business, so it helps to have a trusty pickup at the trailhead for snacks and sustenance while completing forms and swapping out bikes. And for midday sustenance, few things are more satisfying than a cold adult beverage. This fact has never been lost on veteran mountain-bike journalist Mike Ferrentino. This, of course, is far from his first rodeo. 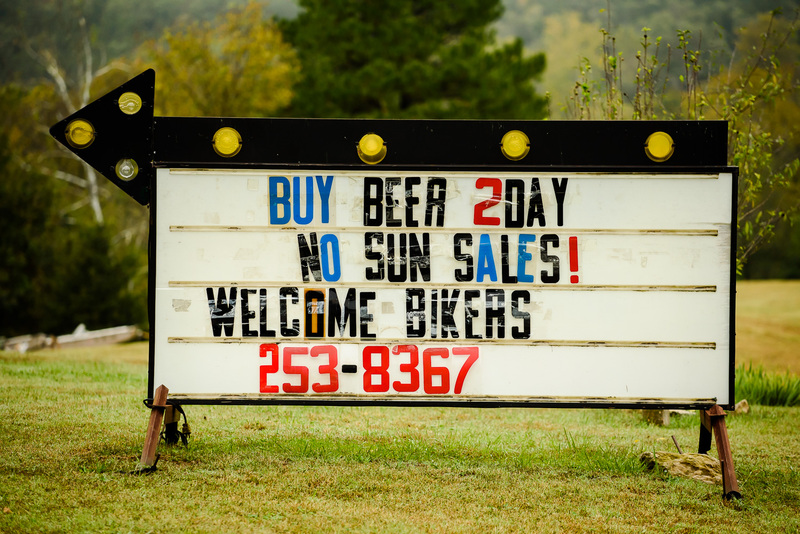 …and that meant regular trips to the welcoming local beer store…except on Sundays, when a trip across the Missouri state line was in order. To help give our readers/viewers a better feel for how each bike performs on the trail, we film countless hours of riding action for the Roundtable Reels videos that we'll roll out from January to March of 2017. We like to include a mix of climbing and descending action, throwing in a few tight, slow-motion shots on each bike so it's easy to see how the suspension is working. 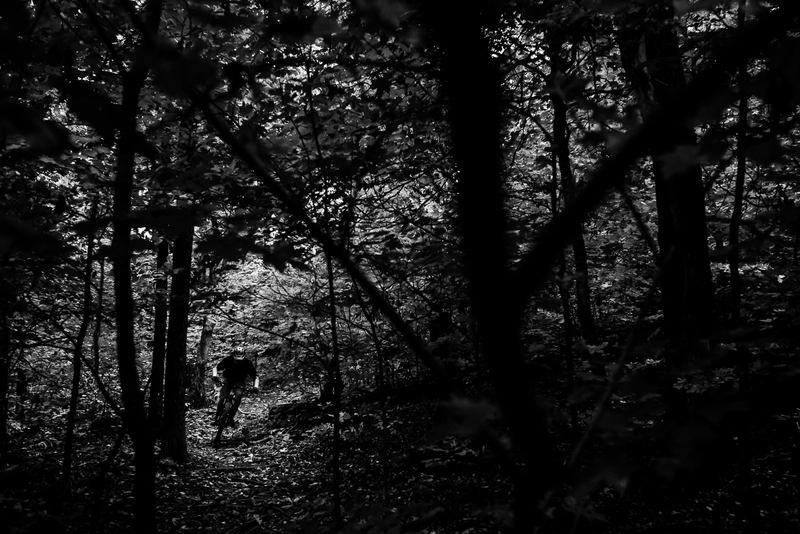 For the past few years, we've used some of the best filmmakers in mountain biking. And this year is no exception, with Rupert Walker and Liam Mullany comprising our all-star "AV Team.” Here, Walker—the cinematic mind behind Revel Co.—captures our online editor Jon Weber as he escapes from his computer for a while. 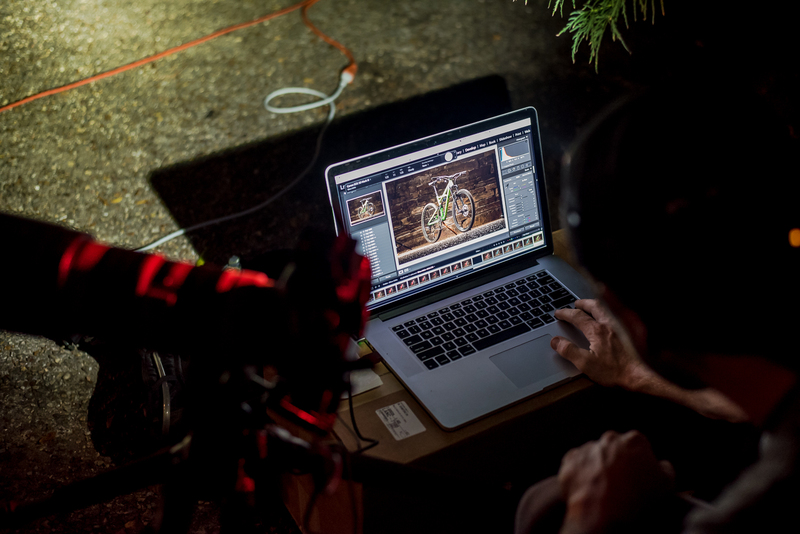 The vast majority of Bike magazine’s work happens behind the glow of a laptop monitor: editing photos, videos and writing stories for the magazine and website. 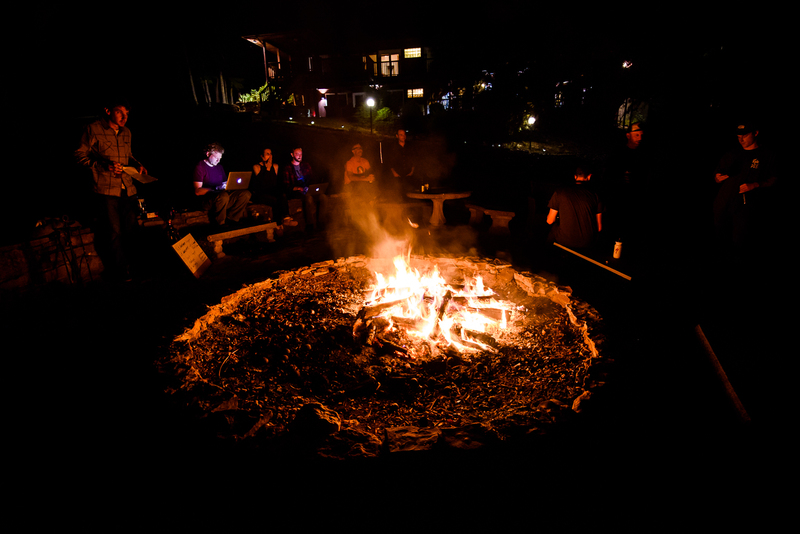 When the sun goes down, the machines get fired up and photos get critiqued and edited. Here Bike's photo editor, Anthony Smith, pores over the studio shots of all the bikes in this year's test to make sure everything is as close to perfect as possible. With this year’s testing drawing to an end, it’s almost time to box up all these beauties and send them back to their rightful owners.